What if you were a teenager and were facing some serious health issues? Would that blur your approach to life – or would you meet the challenge head-on? Sylvia Pittman faced such challenges as a teen and chose to work hard to overcome them. She has fought this battle with help from medical professionals and programs. But in 2010, she felt stuck. She had heard about the FirstLine Therapy® program at The Downing Clinic in Clarkston and even knew the program coordinator, Ann Heusted, RN. After learning more about the program from Ann, she decided to try it. Sylvia’s family history included diabetes on both sides of her family. She personally had major hormonal imbalances from hypothyroidism and polycystic ovary syndrome. Her goal was to balance her hormones and reach her ideal weight. “This program made a lot of sense to me and was easy to follow,” Sylvia said. “The FLT program included classes, supplemental foods that tasted good and were satisfying, testing and individual counseling. The testing was extremely helpful for me as I really needed to get the hormone levels closer to normal in order to feel better and lose the weight. 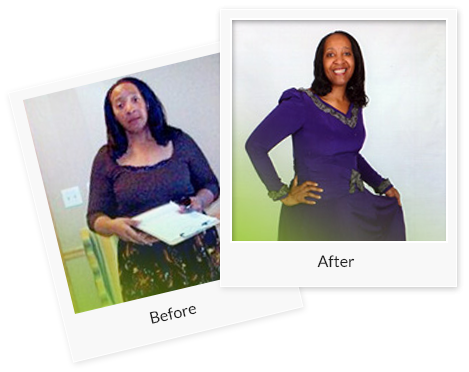 And, I feel there was a lot of value-added information and services in this program that I had not experienced in traditional medical care or other weight loss programs. “As a person with a low thyroid condition, I had a compromised immune system. But now, I no longer get the sinus infections I used to. And, surprise, I’m the one who is working at the office when others get whatever might be going around,” Sylvia says. One of the side effects of going through the program that makes Sylvia smile is the new moniker given to her by her niece. “Yes, she calls me the Skinny Diva now. I never thought I’d hear that!” Sylvia exclaimed.